Make the most of your dates to find your mate.What conversations should you have with your potential mate to know your love will last a lifetime? If conversations start out harsh, the relationship will often break down into loneliness and unhappiness for both parties. Conversations where each partner discusses the positive things they need tend to go smoother. You don’t have to hook up with your clone. In fact, someone a little different from you makes it interesting. You can learn from each other. Discussing the history, experiences and preferences with each of these topics will help both of you see if this is a relationship worth pursuing. 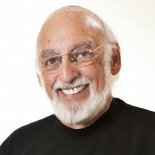 Listen as Dr. John Gottman joins Melanie Cole, MS, to share how to have the conversations for a lasting love.